Asian cities are particularly vulnerable to risks associated with natural disasters. While they are exposed to various types of natural hazards, flooding and other water-related disasters pose particularly significant risks and undermine long-term economic growth, especially in coastal cities. Managing such natural disaster risks is an essential component of urban policies in fast-growing Southeast Asian cities, especially as the impacts of climate change worsen.In addition to providing a framework for assessing disaster risk management policies in cities, this report also presents the results of assessment and locally tailored policy recommendations in five cities of different institutional, geographic, socio-economic and environmental contexts in Southeast Asia. They include Bandung (Indonesia), Bangkok (Thailand), Cebu (Philippines), Hai Phong (Viet Nam) and Iskandar (Malaysia). 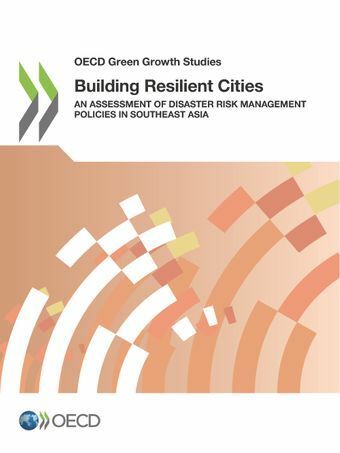 The study highlights that Southeast Asian cities are largely underprepared for natural disaster risks.Through an assessment of disaster risk management (DRM) policies at national and subnational levels, the study aims to enhance urban resilience by: i) identifying policy challenges related to DRM ; ii) assessing the impacts of current DRM policy practices; and iii) proposing more efficient and effective policy options to enhance urban resilience.